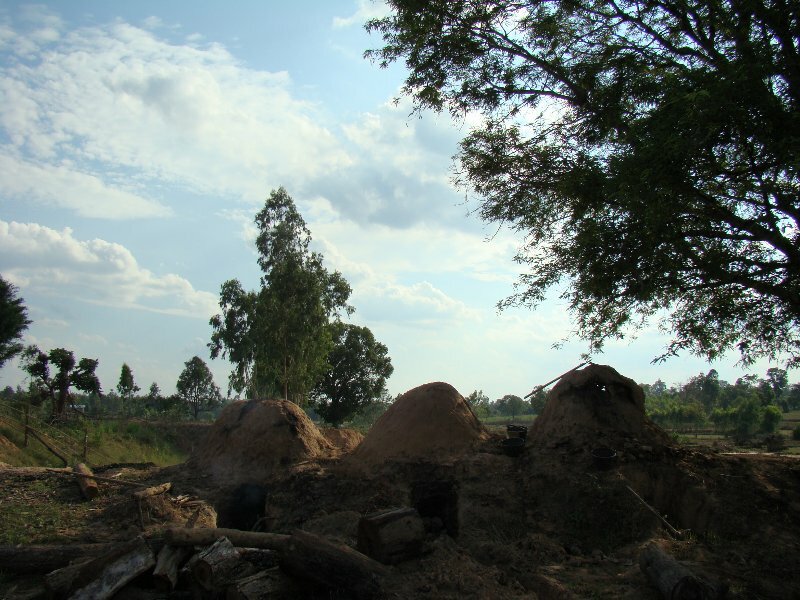 While roaming around the family farm in Mukdahan I ran across these mounds. I studied them for a while to see if I could figure out their purpose. 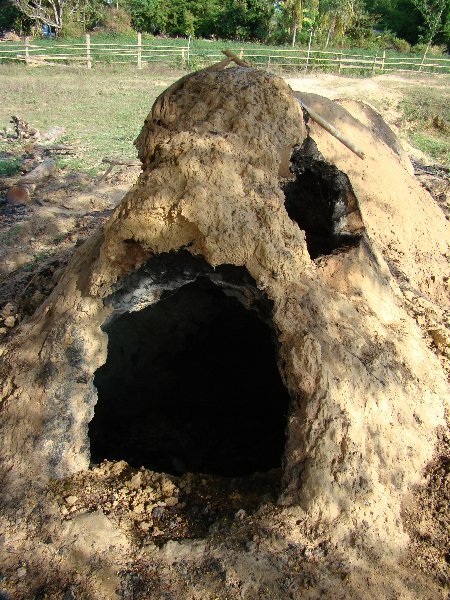 One had a nice low fire under it and another had it’s fire hole buried but you could still see smoke rising from cracks in the mound, yet another had been opened and it’s contents removed. After some time and plenty of picture taking I was satified that I had the answer so I headed back to the family house and showed Pooki my discovery and asked her if my assumptions were correct…and they weren’t. Now I know the purpose of these mounds and it was not even close to what I imagined. 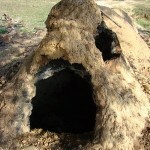 So, I put the question to you…what do you think these mounds are used for? Perhaps the pictures will give you a clue or two that I missed. Well, Martin, Mike and Catherine were more aware than I was at first. 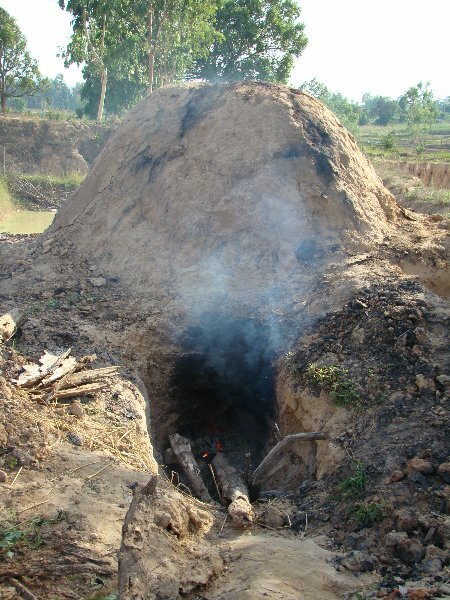 The mounds are indeed for making the charcoal the family cooks with. I originally thought they were for smoking fish as the fire under them was very low and produced mostly smoke. The low fire keeps the wood inside from just burning up and the whole procsess takes about 3-5 days. ARGH! What are these things then!!!! Surely it has to be cooking of some description? That is a total guess and I’m now gonna cheat and see if the misses knows. 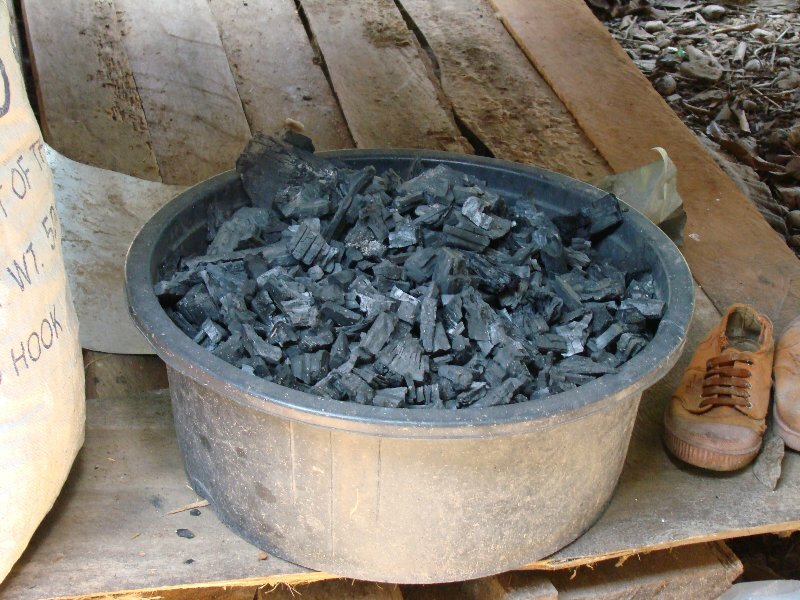 I think this is where they produce charcoal. 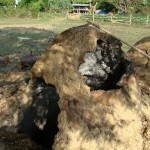 Talen I didn’t copy off Martin honest-too make charcoal I think I have seen something similar but not in Thailand. Second guess- for cooking rice field rats! 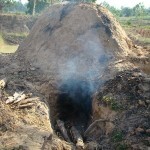 I’ve seen them before and (if they are the same) they are kilns for making charcoal. At first I thought they were for pottery, but no.